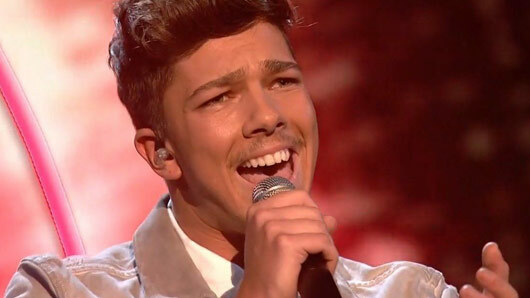 It looks as though X Factor winner Matt Terry will be competing against former One Direction star Louis Tomlinson in the race for the number one spot this Christmas. Matt Terry was the victor of last night’s X Factor final as he was crowned the 2016 champion over fellow contestant Saara Aalto. The series went out with a total bang at the Wembley arena, the final being spread over two two-hour long live episodes this weekend. After a show-stopping duet with mentor Nicole Scherzinger on the Saturday and a moving rendition of this year’s John Lewis advert tune, “One Day I’ll Fly Away”, Matt Terry was announced the X Factor winner at the end of the second live show. It was a gruelling weekend of performances, but the 23-year-old was finally able to unveil his new winner’s single after all of his hard work that weekend. The festive song named “When Christmas Comes Around” was written by the global superstar Ed Sheeran and has already been tipped as this year’s Christmas number one. However, it seems Matt has some competition. In less than 24 hours, Matt’s single has shot up to the number two spot on iTunes, but he faces fellow X Factor star Louis Tomlinson in the battle for that desired first place. Louis also debuted his own single “Just Hold On” on Saturday night’s X Factor show but it remains to be seen whether the ex 1D singer was able to totally steal Matt’s thunder. « Are Stephen Bear and Ferne McCann joining Celebs Go Dating?